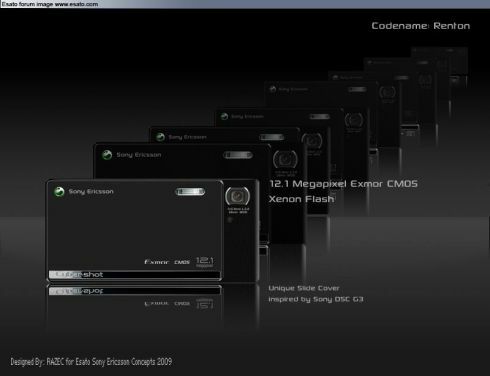 Sony Ericsson Idou looks so promising that the 12 megapixel cameraphone must have some “relatives” scheduled for launch in the near future. Till then we’ve got Razec’s brand new concept phone, the Sony Ericsson Renton, also packing a 12 MP camera. 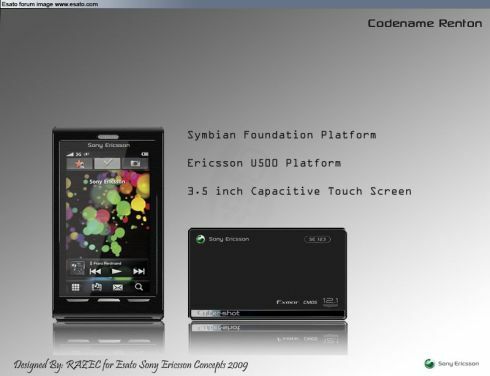 The device features the Symbian Foundation platform, the Ericsson U500 platform and a 3.5 inch capacitive touchscreen. 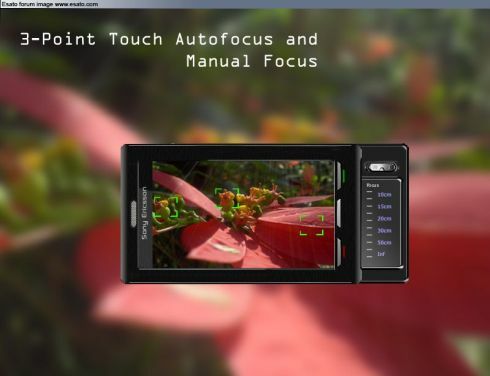 The handset’s camera supports 3 point touch autofocus, manual focus and it features a 12.1 megapixel Exmor CMOS sensor, Xenon Flash and an unique slide cover inspired by Sony DSC G3. Renton was designed by Razec, from the Esato board.